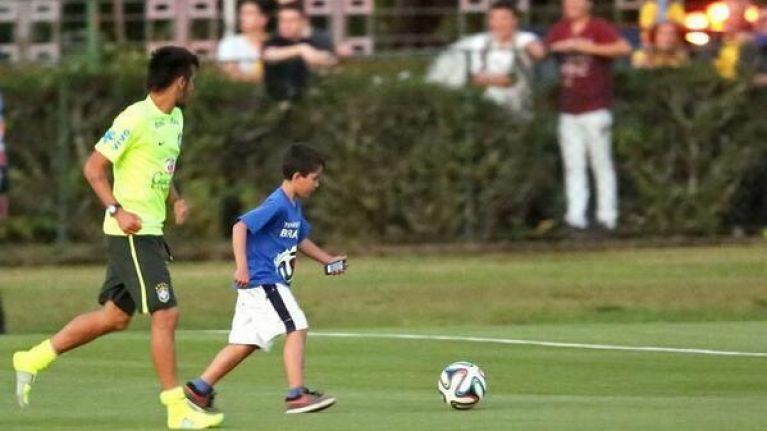 During the Brazilian national team’s training session yesterday, 8-year-old Bernardo Nunes tried sneaking past security in order to get that little bit closer to his favourite football stars. Unfortunately for little Bernardo, he was collared just as he was about to get onto the training pitch. However, Neymar saw the mini pitch invader being led away by security and so he ran over to save him from what was sure to be a right b*llocking.